Transitioning to natural hair can be an exciting and daring adventure for many women who are trading in their routine salon visits for caring for their own curly locks. Some women, at the moment the relaxed hair gets cut off, are ready to celebrate. And there are other women who transition for years until the new growth is at a length that satisfies them. Transitioning to natural hair is a very personal journey that should only be dictated by the person embarking on it. You will hear many a dictate from those who have gone through the process and those who have not. The key is to adopt the suggestions that work for you. So here are three things to think about before taking the plunge. What is your lifestyle like? Where do you work? In a corporate environment? At a non-profit? In a school? Are you in college? Your environment to a major degree dictates your hair styles. Styles that I got away with while going to my college classes really wouldn't work too well at my job. Since natural hair is very versatile, there are many styling options. You can twist it, braid it, bun it, and create so many different styles, the choices are really staggering. You're only limited by your imagination. So collect a portfolio of styles that would fit your lifestyle. You can go on YouTube. Join a forum, or go to the many natural hair sites to see picture of style choices. What is your facial shape? And how does it complement certain hairstyles? Some women when they Big Chop, which is to cut off all their relaxed hair, can sport a pixie cut or a closely cropped hair style and look like a model. Sadly, I'm not one of those people. And there are some women who feel uncomfortable with short hair. And that's fine. The key is to find out your facial shape and to see which styles would complement your bone structure. Natural hair should help your feel and look your best. If you feel like doing the Big Chop and a close cut complements your face, Go for it! If you want to transition for a year or more so your hair will be longer to complement your face, Go for it! Remember this journey is on your terms. Are you ready for the emotional adjustment? Hopefully, you have a supportive environment for your new styling choices. Hopefully, you don't care what other people say. It's your head and your hair. However, if you do have concerns, that's okay. There are many lovers of natural hair. Yet, there is always one person who has to spoil it. And it's important to understand and be prepared to give an answer for why YOU love your new look. Everyone doesn't have to agree with your hairstyle, but you do. Honestly, there will be times, that your hair will drive you to the edge because it truly has a personality of its own, but once you start loving it and taking care of it, it will definitely reward you tenfold. 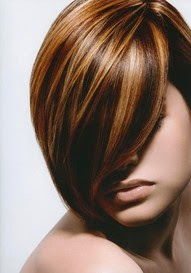 Get a Gorgeous and Edgy Short Hairstyle!